Is Hurricane Harvey a harbinger for Houston's future? 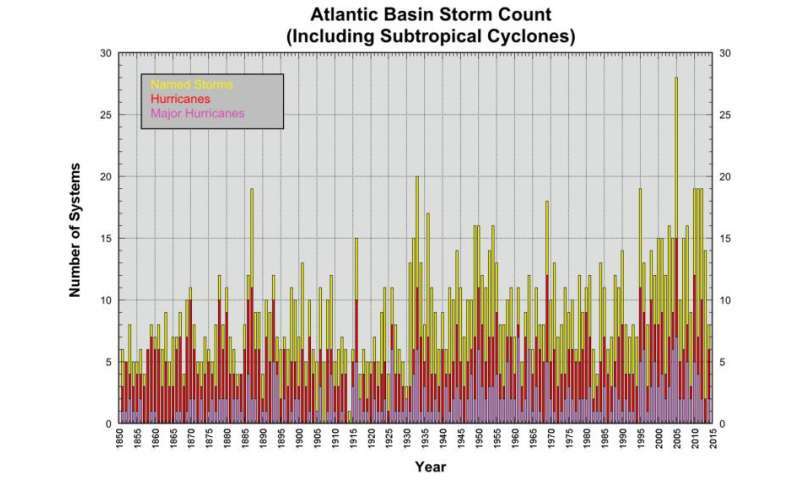 We can be confident that we're seeing more severe tropical cyclones in the North Atlantic than we did a few decades ago. It is likely that climate change has contributed to this trend, although there is low statistical confidence associated with this statement. What that means is that this observed increase in hurricane frequency is more likely than not linked with climate change, but the increase may also be linked to decadal variability. It's much easier to study heat extremes, because we can do this by looking at a single, continuous variable: temperature. Tropical cyclones, on the other hand, are not a continuous variable; they either form or they don't. This makes them much harder to model and study. While it's hard to pin the blame for Hurricane Harvey directly on climate change, we can say this: human-caused climate change has enhanced some of the impacts of the storm. Fortunately, in Harvey's case, the storm surge hasn't been too bad, unlike for Hurricanes Katrina and Sandy, for example. This is because Harvey did not travel as far, and weakened rapidly when it made landfall. Harvey's biggest effect is through its intense and prolonged rainfall. A low pressure system to the north is keeping Harvey over southern Texas, resulting in greater rainfall totals. The rainfall totals are already remarkable and are only going to get worse. As the region's population grows, more and more of southern Texas is being paved with impermeable surfaces. This means that when there is extreme rainfall the water takes longer to drain away, prolonging and intensifying the floods. Hurricane Harvey is likely to end up being one of the most costly disasters in US history. It is also likely that climate change and population growth in the region have worsened the effects of this major storm.